We offer efficient solution for paying off/ feeding wire to the drawing machine. 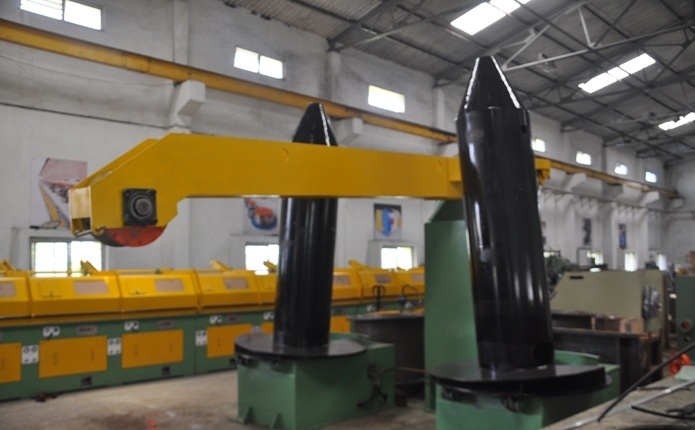 Designed for entanglement free feeding of wire rod to the machine. 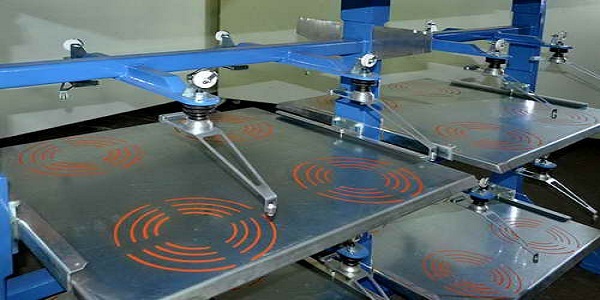 Option of Double flipper pay-off for easy changing of wire rod coil without stopping machine. For non-stop operation of drawing machine. Designed for entanglement free feeding of wire rod to the machine, even at higher speed. 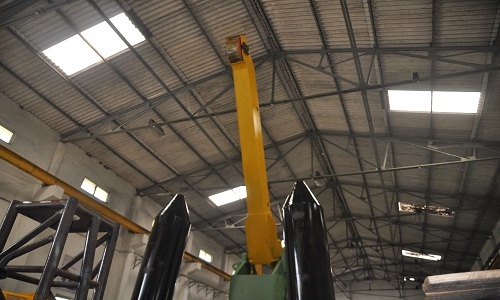 Hydraulically operated tilting boom enables easy loading of wire rod. 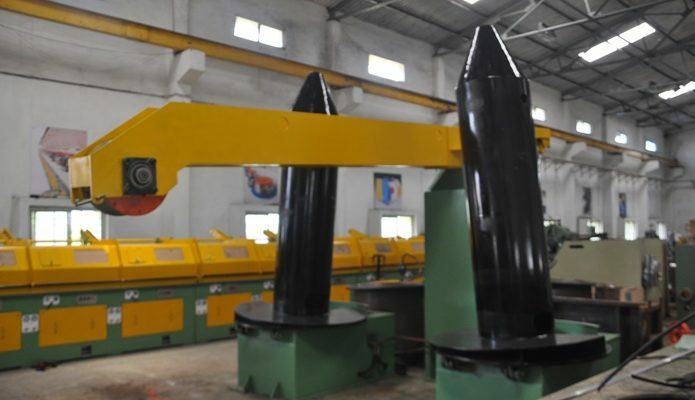 Option of former rotating system, to be synchronized with entry speed of wire drawing machine. For flaw less feeding of wire rod or drawn wire to the drawing machine. Option for using multiple spool sizes. 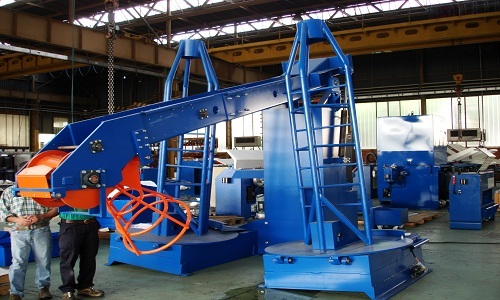 Hydraulic or pneumatically operated spool lifting / lowering and spool locking system. Option for using motorized pay-offs for easy feeding of wire at higher entry speed wire drawing machine. Vertical spool pay-off: to feed drawn wires to the intermediate process such as patenting, annealing etc. Use of pneumatic disc brakes. For feeding of drawn wire to the drawing machine. For feeding of drawn wire to the drawing machine and for process lines such as galvanizing, patenting, annealing etc. Option for using multiple spools for non-stop operation.